Hello all! Can you believe that the month of October is nearing an end and we not only see the start of November this weekend but also the time change? Yikes. Where does the time go? I have photos of my current mani, done up for Halloween. Now, it's not perfect but I am proud of it since it's free-handed by ME. Seriously! I made webs and a spider. I can stamp, I can water marble... but ask me to free-hand anything on my nails and I usually laugh and walk away. Also, I achieved chevrons! Did I free-hand those? Heck no. Nail decals, baby. It was my first time using them (they came in a gift with a nail polish order) and I want to order more! Nail decals from Nails Redesigned. As you may have noticed, I didn't use orange in my Halloween mani. I don't like orange. I will use it for a Candy Corn inspired mani but I prefer purple and black around Halloween. And don't forget to change your clocks this Saturday night/Sunday morning and get your extra hour of sleep. Can you believe Halloween is a little over a week away? How about the fact that the time change is next weekend? Can you believe that there are only 9 Fridays left until Christmas? Did I just depress you with the last one or make you super happy? I finally took off my falling leaves mani and my nails were naked all weekend. I wanted to do something new but I really didn't feel like painting them. Patience is not a virtue of mine. I like the googly eyes. While I was making them, I kept thinking of the opening of Scooby Doo. I really love how the little eyes glow. 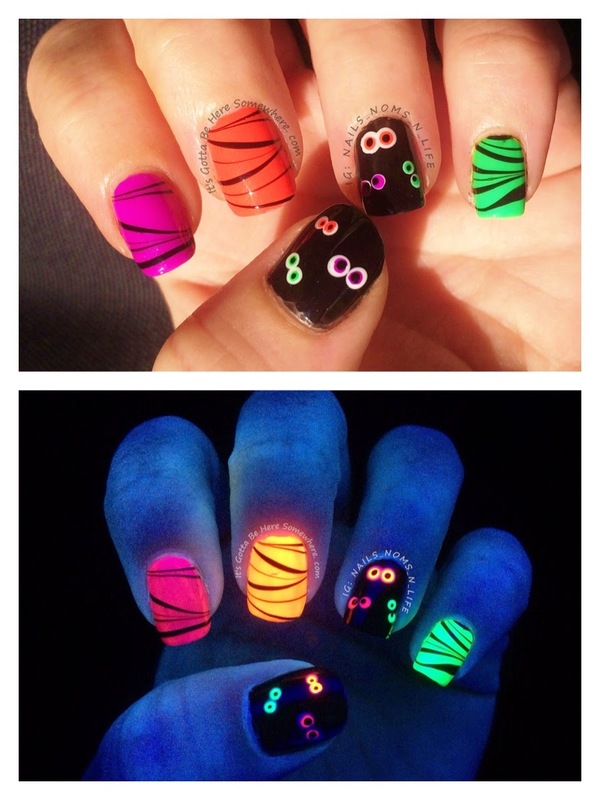 Now if I could just carry around a little blacklight and constantly have them glowing, that would be great. What day is it? Let me check my calendar since all of my days run together...Oh yeah! 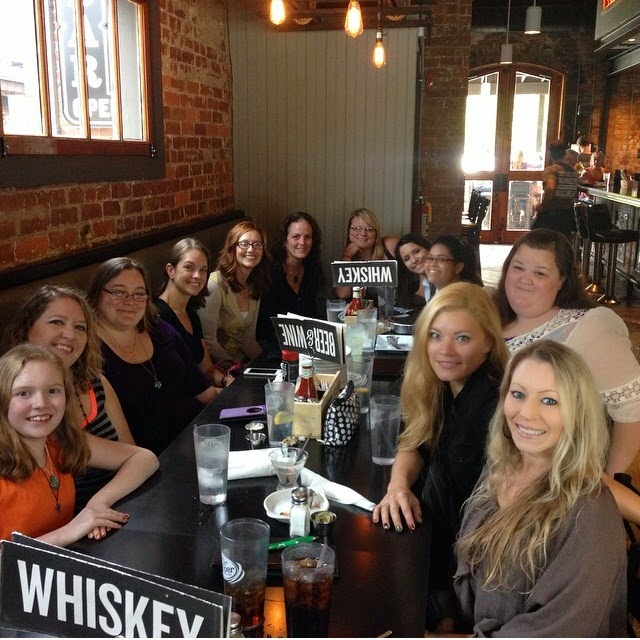 On Sunday, I met up with some other nail polish enthusiasts in downtown Chattanooga. I had never been to Urban Stack before (I typically avoid downtown) but I enjoyed the food and the atmosphere. When meeting up with total strangers, the nerves start to surface a bit. What if we have nothing in common? What if we all just sit and stare at our plates? What if one of them is like my stalker and starts spending all of her time online trying to find out when I eat and pee? I should have realized that we'd have plenty to talk about... we all love nail polish. Having at least one thing in common guarantees that the ice will be broken and you'll have something to chat about which will possibly bring up other things you'll have in common. 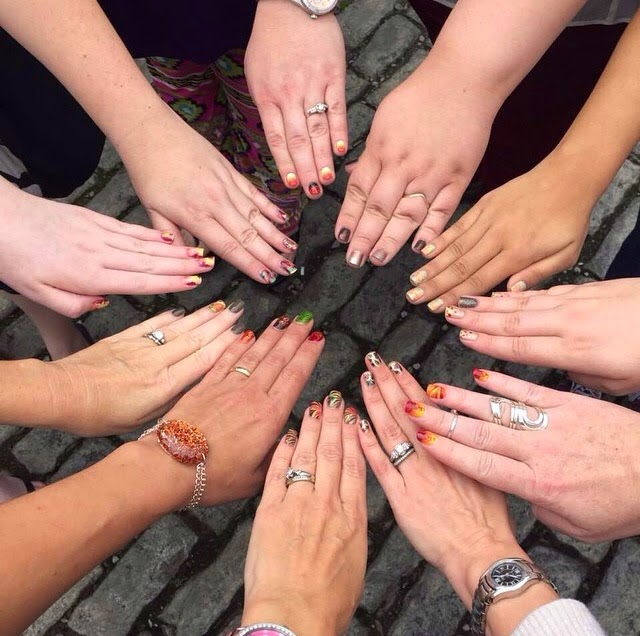 Our nail theme was falling leaves so we all did our own designs using that theme. Colors used in this mani are from Zoya and China Glaze. Water marble: Zoya Darcy and Thandie with China Glaze Adventure Red-y. Gradient: Same as the marble but add Zoya Louise for the stamping using BM04. We hit up Ulta, Sally's, and then a final stop at TJMAXX, concentrating on the polish. After that we all parted ways since the majority of the ladies had a long drive ahead (through a hell of a storm). Have you ever had a meet-up with people you met online? Over the weekend, we went to check out Old McDonald's Farm. You can read the first two posts about our experience here and here. Today we are going to talk corn... specifically corn kernels in a giant box. Although the kids had a blast last year in the corn pit, this year was better. In Minnesota, it was one giant box filled with kids. Flying feet were common and usually came within inches of your head. The corn pit at Old McDonald's Farm (Corn Crib, they call it) was SO much better. Instead of one huge area, inside the Combine Barn there were 3 smaller boxes filled with corn kernels. My girls had one entire such box all to themselves. It was nice not to have to worry about some brat kicking the snot out of my girls. Peanut offering corn kernels... or finally losing what's left of her mind? You never know with her. She'll be the first to tell you that she's not quite normal. And she doesn't want to be normal. Normal is boring. And anything boring isn't worth her time. Age is not an issue when dealing with corn cribs. Button had just as much, or more fun, than Peanut did in that corn. She kept making the silliest faces and had a look of pure happiness. Button's face cracks me up. The thought of her sister burying her is worrisome. She loves her sister so much but there are some things that require a little more trust than others. Again, Button making strange faces. I'm pretty sure at this point, they were both "swimming". I was thrilled because as Button has gotten older, she's gotten less vocal. I think she's part trying to live with a sister that never stops talking and part growing up and trying to figure out if some things are too 'young for her'. Luckily, jumping into a pit filled with corn kernels makes age just a number. This child... She has that attitude of "I don't care". She loves her family and wants to be a good kid but she doesn't care what people think of her and her craziness. She's a hoot, for sure. It seems like she never stops talking and asking questions. If she's not talking, she's making strange noises or singing a silly song. Like I said, she's not boring. If you get a chance to go to Old McDonald's Farm or any other Fall Festival that has a corn pit, go. It's a weird sensation to be surrounded by all of that corn and the kids love it. If you have a snarky comment to add, try not posting as "Anonymous" and you'll be approved. Yesterday, I shared with you the first post in the Old McDonald's Farm blog series. Today, we are going to talk Gem Mining and how much mining for gems can thrill a child. At Old McDonald's Farm, you pay extra to mine gems. The prices range from $6 (small bag) to $18 (largest bag). Once you buy the bag, you take the kids over to the mining tower, grab a sifter, and shove it down into the water to uncover your treasures. I'm pretty sure both kids would have stood at that farm the rest of the day going through their booty but I told them to wait until we got home. And they did. I will say that I'm proud of them, too. For the rest of the day, they hauled their treasure bags around and never once complained. Upon returning home and after a change into PJ's, they set to work grouping their treasures and inspecting each little rock or fossil. I kid you not, they sat there for over an hour playing with rocks and fossils. Button was very particular about how the rocks and fossils were divided up into groups. And she inspected each one for several long minutes before making the decision. That's all for today. Come back tomorrow for more photos from Old McDonald's Farm Days. The next post in the series will be pics from the Corn Crib (corn kernel pit). Happy Hump Day to all! Yes, even you, snarky stalker. On Sunday, my husband and I took the kids to a farm in nearby Sale Creek, Tennessee. Old McDonald's Farm dates back to 1821 and has been run since by 8 generations of the McDonald family. In 2011, they opened up the farm to visitors in the fall for family fun and activities. I found it while using Google to figure out where we could find a fall festival or two to attend. We decided Saturday evening that we'd go on Sunday since the forecast was saying the weather would be perfect for walking around a farm. Sunday was cool, clear, and low on humidity with a slight breeze blowing through the grounds. There were a number of cars in the lot but it wasn't overly crowded. I took so many pictures of stuff that I decided to split the visit to the farm into several posts. There's photo heavy posts and then there's just ridiculously photo heavy posts. Your computers may thank me. Today's post will be some of the photos that I took around the farm. It really is a beautiful place. And I love that one of the outside walls of the Combine Barn, there is a sort of growth chart for the kids. If you take your kids to the farm each year and take a picture of them in front of the chart, you can see how much they grow from one fall to another. That's it for today's post. I'll be back tomorrow with photos of the Gem Mining. The kids had a blast mining for gems at the farm... and then for over an hour at home looking at their prized finds. 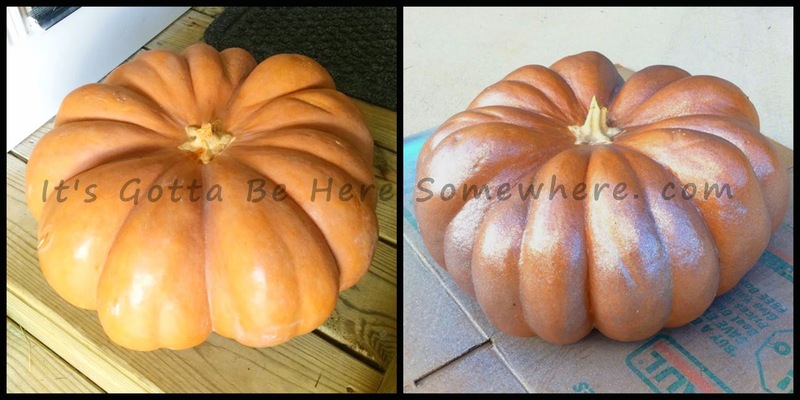 Have you been to a Fall festival this year? A few years ago, I made myself a wreath to use during Christmas. I made my own because I just couldn't find anything in the stores or online that I liked. It was fun picking out the colors and ornaments that I wanted to see hanging on my door and the end result is one of my loves in life. 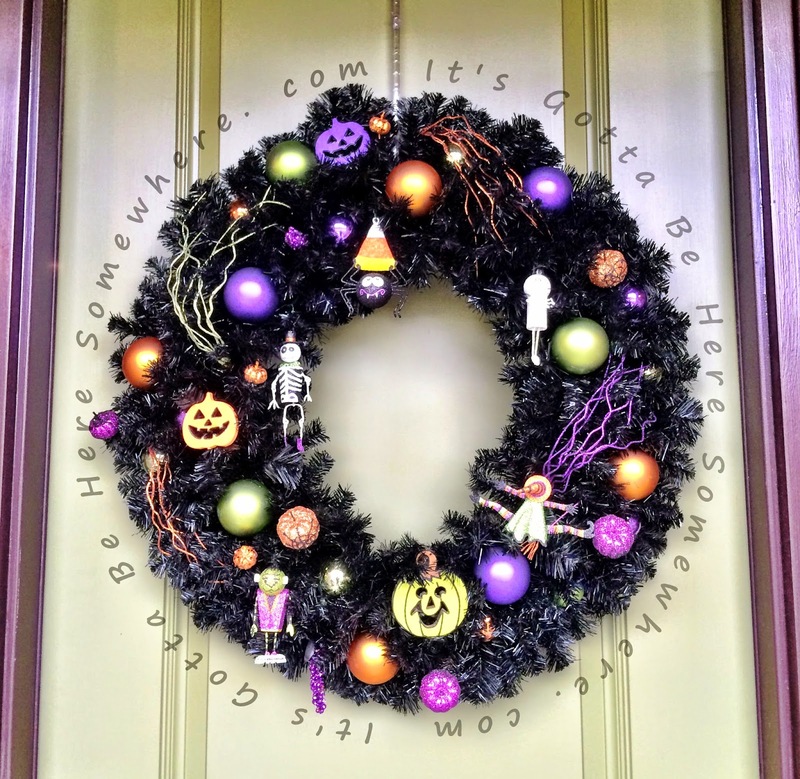 When I decided to make my Halloween wreath, I had no idea that I'd spend days searching the webz and the stores looking for a black wreath (not decorated) and still go home each time with nothing. 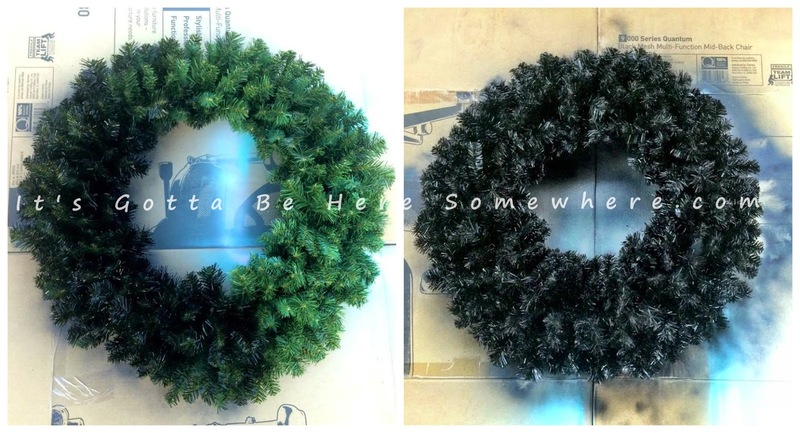 I finally bought a regular Christmas wreath at Hobby Lobby and used spray paint to make it black. The photo on the left was right after I realized that I didn't take a 'before' photo. Whoops. Better late than never, right? The photo on the right was during the many light coats of spray paint. It was hot and muggy during those days and spray paint prefers less warmth and less humidity to dry properly. Plus, if I had used thick coats, I would have run the risk of the branches and needles sticking together. It was slow going, a little bit of paint a day. I had to keep rearranging the branches to make sure all of the green was covered and avoid gaps. FINALLY it was black enough to bring it in to decorate it. I had ornaments from Hobby Lobby, small wood pumpkins that I had painted, and glitter ornaments found at Pier 1 waiting to go on the wreath. I also found a little bit of Halloween floral pieces at Hobby Lobby and Micheal's. My husband and I really like the 'finger-like' floral pieces on the top, bottom, and on each side. The ornaments from Pier 1 are around the inside (clockwise from the top: a spider carrying Candy Corn, a mummy, a witch that looks like she slammed into the wreath, Frankenstein's monster, and a dancing skeleton). 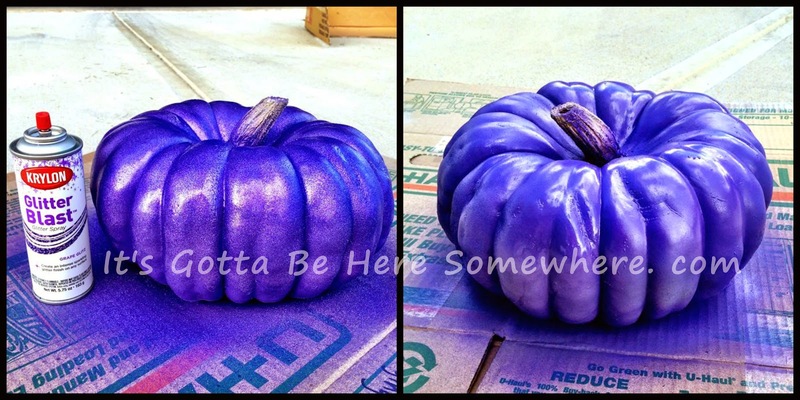 The purple, orange, and green pumpkins were found at Micheal's and Jo-Ann, painted by me. Tomorrow, I will post photos of the wreath hanging on our front door, along with our pumpkins on our front steps. 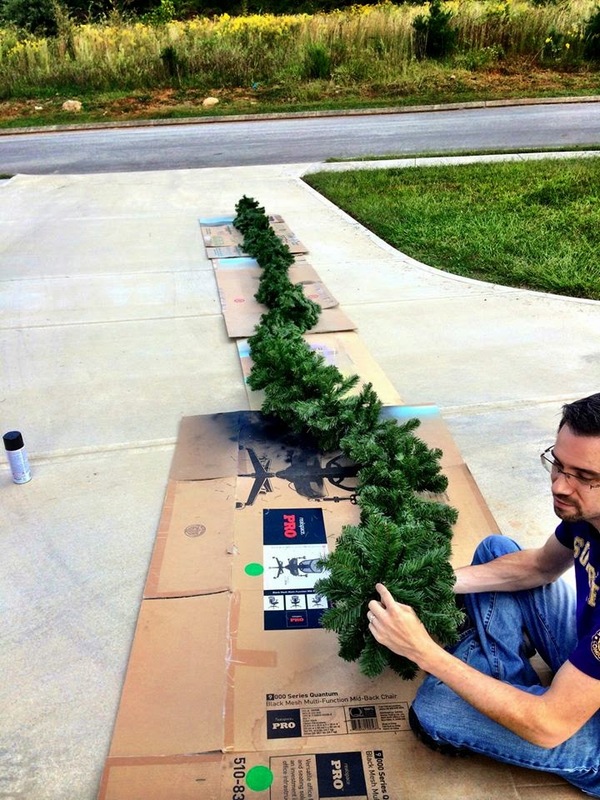 The garland will be done soon, I hope. I have a lot of the same floral pieces and ornaments for it along with some giant ornaments, more painted wood pumpkins, and Halloween ribbon. I don't normally post on weekends but I did some nail art for this weekend since we are attending a few Fall festival type things. I tried a couple of things before I landed on a candy corn inspired water marble. 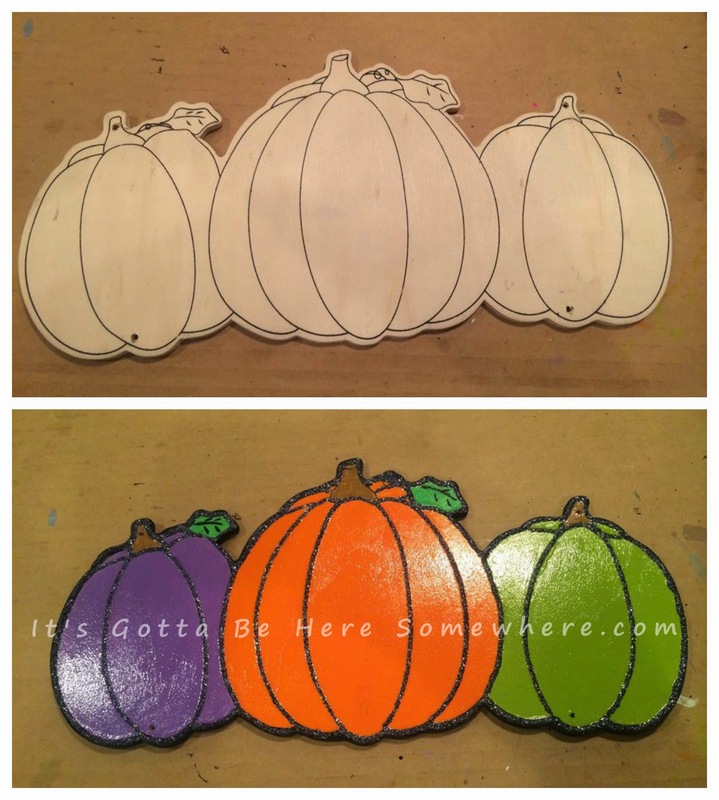 In my last post, I shared with you the makings of my Halloween wreath and a few of our front porch pumpkins. 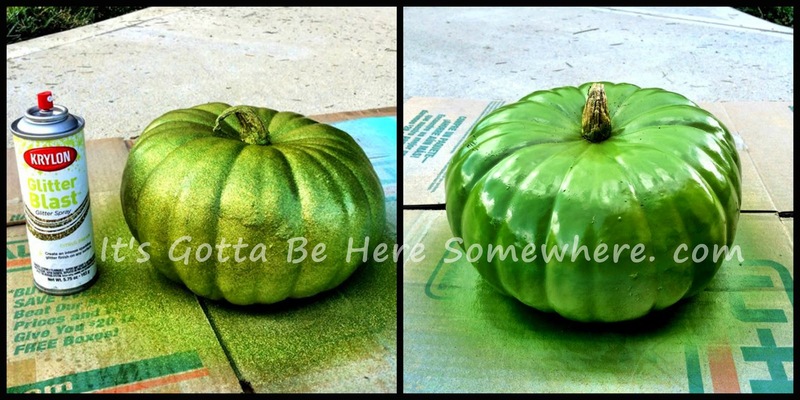 The rest of the pumpkins are coming along nicely and the wreath is actually done. Today, I have a few pics of the decor I found while perusing Hobby Lobby, Pier 1, and Jo-Ann. Since I've never really decorated for Halloween before, I had literally no Halloween decorations. Luckily, most of the stuff I found wasn't terribly expensive and can be used for years to come. I found the fabric at Jo-Ann while my husband was looking for something to make the ghosts that he wants to hang from the tree in front of our house. I was standing there looking around and realized I was right in front of the Halloween fabrics. This one was buried behind 2 others but I saw it poking out. It's pretty enough in the photo above but it's what it looks like in person that made me grab the bolt and head straight to the counter. It's purple, but it shifts to blue when held a certain way... just like a duo-chrome nail polish. And in certain lights, the spiderwebs disappear. was confusing, the video would eliminate the need to imagine. On the left in the photo above, you can see the other glass container that I filled with glass pebbles. Below is a photo I shot of it later at night so you could see it lit up more. I found the pebble mixture, ghosts included, at Micheal's. I made sure to arrange them so that the kids could see the little ghost faces. I really like the end result and it was pretty inexpensive. Besides finding the fabric at Jo-Ann, I found this cute little door hanger. It looks like a bushel of grapes, yes, but the orange ones are cut to look like Jack-o-lanterns and I loved it. That's it for today! I'll have another post Monday with photos of my wreath and hopefully the garland (if I can get it painted and decorated by then). Also, we are heading to a few fall festivals this weekend so hopefully I'll have some photos of hayrides, pumpkins, and corn mazes.